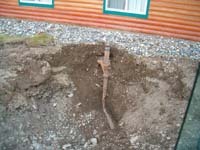 Providing quality construction services throughout Alaska since 1982. B.C. Excavating was the general contractor for site civil roads project and development of the employee housing park facility. B.C. 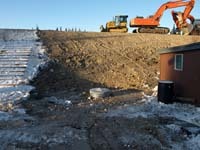 Excavating also served as the subcontractor for service utilities and foundation excavation and backfill for new lodge facilities to Criterion General. These projects included excavation and grading activities related to facility expansion, including utilities, roads, buildings, water features, walkways, parking lots, lighting, and the installation of on-site wastewater disposal facilities. 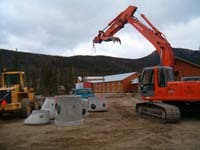 As part of the road projects, B.C. Excavating set up an on-site screening and crushing operation to produce end product aggregates. Given the client’s unique market, i.e., Alaska tourism, B.C. 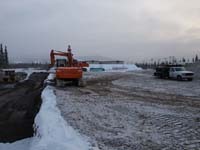 Excavating had to schedule its construction work around the client’s peak season, with a majority of the work having to be performed under winter conditions. B.C. 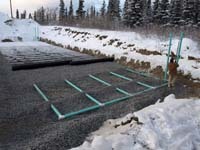 Excavating presented the client with several options for its unique logistical requirements in regards to processed aggregates and topographical challenges while maintaining the natural aesthetic appeal the Alaskan environment has to offer.